You are here: Home / News & Updates / Strategic Planning for Nonprofits: Join Us for This Seminar! She’s back! Jeanne Allen is returning to the Outer Banks to reprise her popular workshop on strategic planning for nonprofits. The seminar is on Wednesday, April 24, 2019 from 8:30 am until 4:00 pm at College of the Albemarle at 132 Russell Twiford Road in Manteo. Click here to register! In this seminar, designed especially for nonprofit organizations, Jeanne will break down the planning process into three bites: preparing for your plan, building your plan, and living your plan. This will be a thorough yet quick dive into how a nonprofit can develop and execute a plan for achieving its mission. This will be a hands-on workshop, with time throughout the seminar for individual nonprofits to sketch out their pathway for how to integrate planning into their organizational culture. Nonprofits are invited to bring two or more people to allow for real-time conversation and planning throughout the day. This workshop is offered for just $11 per person, which includes a tasty boxed lunch and morning coffee. Any nonprofit serving the Outer Banks is invited to join. Click here to register! 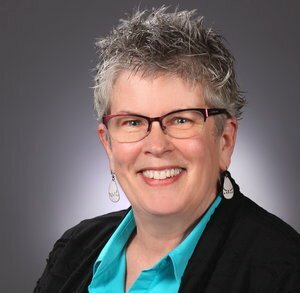 Jeanne Allen, our presenter, is an instructor in the Duke University Nonprofit Management Certification Program, where she teaches Board Development and Governance, Strategic Planning, Social Media Strategy and Policy, and Volunteer Engagement. Ms. Allen is a BoardSource Certified Governance Trainer and a Certified Instructor in the Service Enterprise Program, sponsored by Points of Light Foundation. As a volunteer, she is a local organizer for NC Tech4Good, specializing in technology topics for nonprofits. https://www.obcf.org/wp-content/uploads/2019/04/18NTC-2-cropped.jpg 293 300 OBCF https://www.obcf.org/wp-content/uploads/2013/07/obcf-logo.png OBCF2019-04-08 11:42:042019-04-09 08:51:17Strategic Planning for Nonprofits: Join Us for This Seminar! Something Good from a Terrible Thing: The Sgt. Rimer Fund for Veterans The Community Foundation is Hiring!